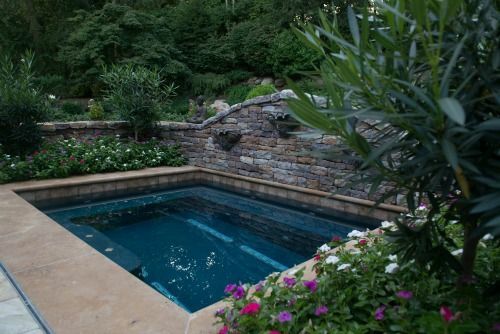 An intimate concrete Zen spa design built into a garden space. 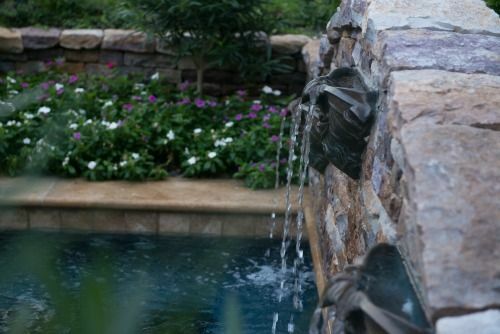 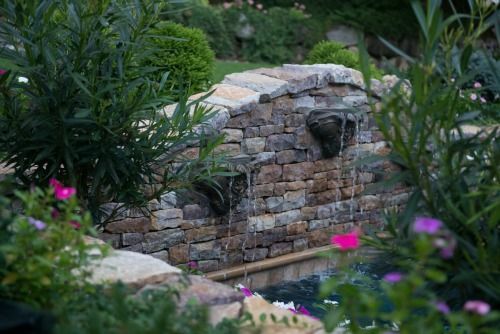 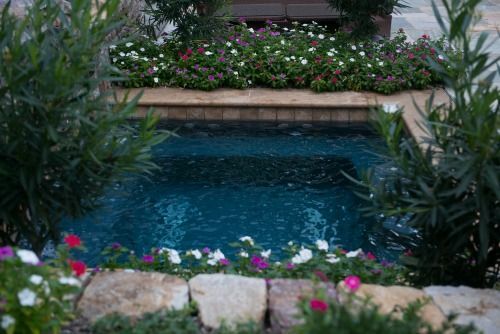 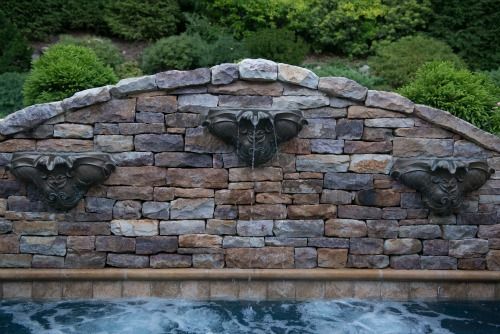 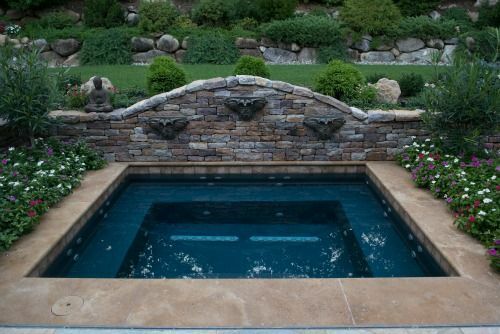 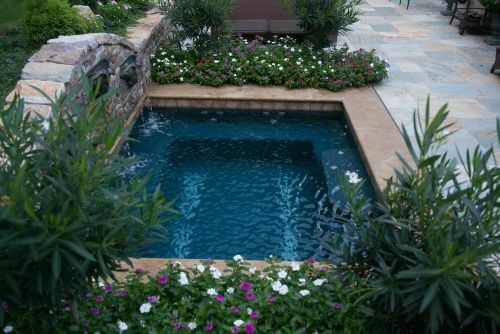 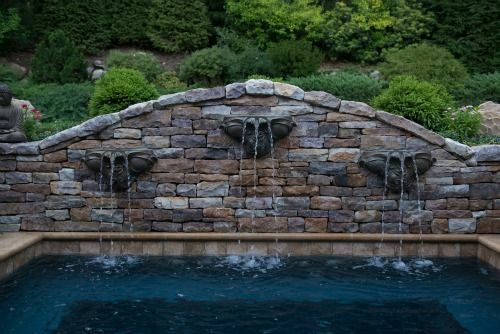 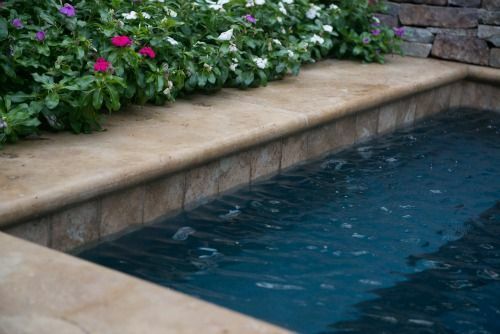 This custom spa design with water features is a tranquil fixture to be enjoyed all year round. 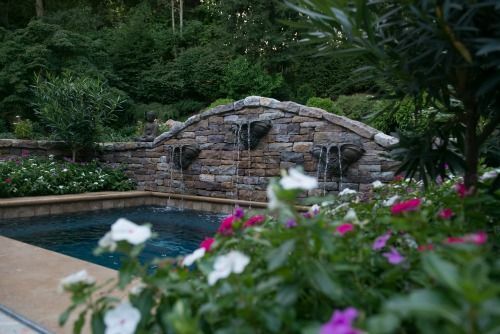 This uniquely designed custom spa transforms a backyard area into an ideal entertainment and relaxation spot. 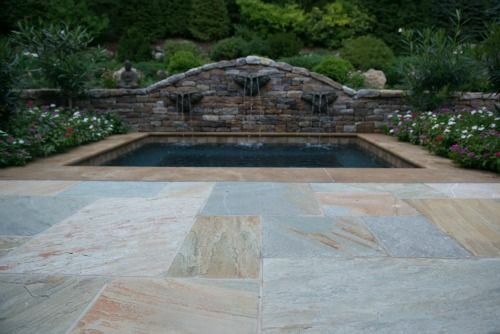 The tranquil sounds of the running water combined with the deep colors in the tile and landscape create a calming atmosphere.